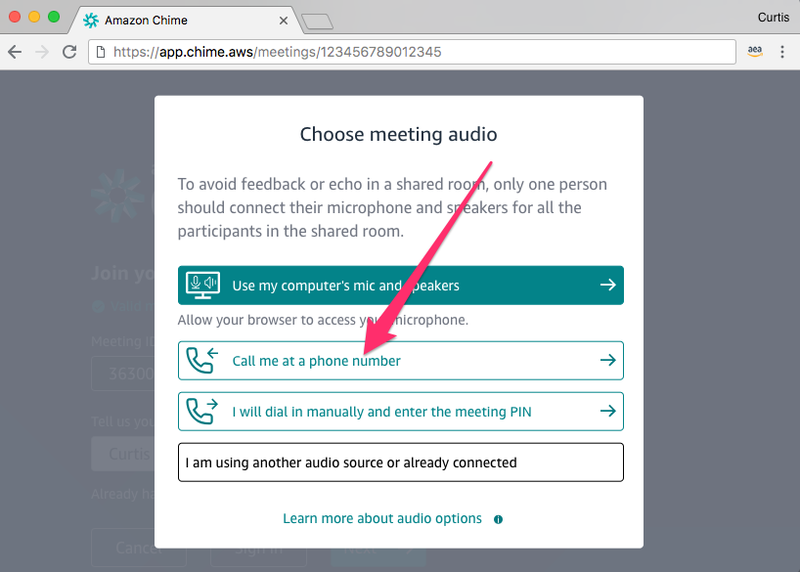 Yes, the call me feature, an audio option that makes it more convenient for you to join Amazon Chime meetings by phone can be used to have Chime call you when joining a meeting. 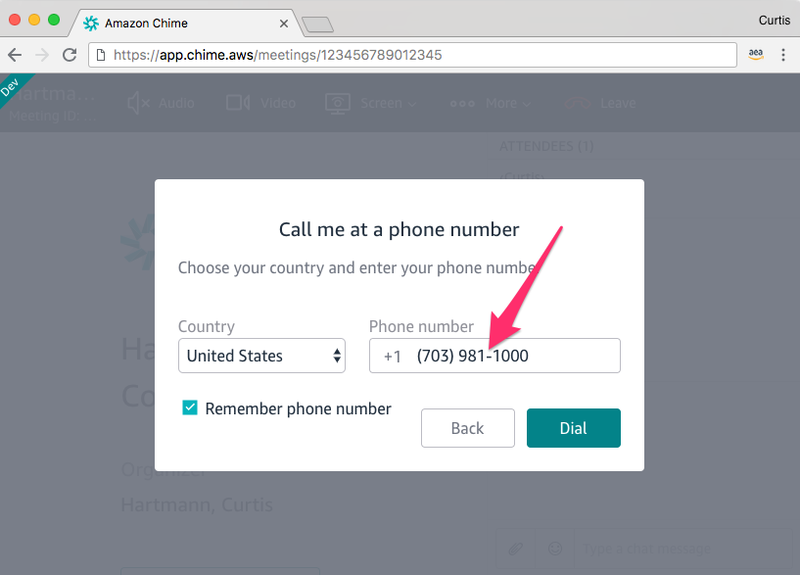 You can simply enter your telephone number into the Chime web application, and Chime will call you and add you to the meeting. Chime also remembers the last number you entered, so you won’t need to re-enter it for future meetings. 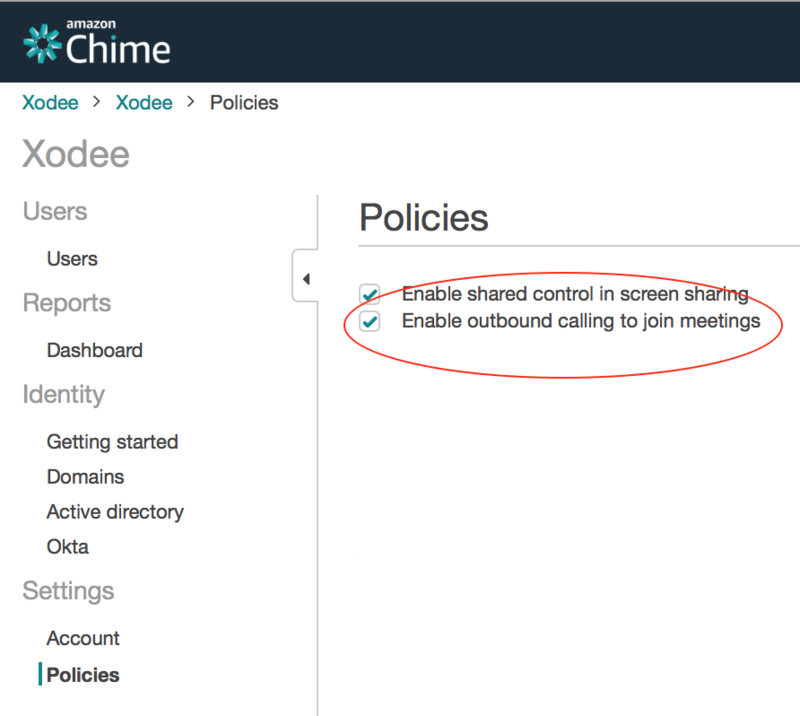 IT Administrators choose Enable outbound calling to join meetings from the Policies section of the Amazon Chime Console for the Amazon Chime account. This feature is not enabled by default because it has associated per minute per participant usage fees (see https://aws.amazon.com/chime/call-me-rates/). Once enabled, meetings which are hosted by your users are able to access the feature. You will receive a call from Chime and asked to confirm the connection. For more information, refer to Amazon Chime Documentation.